university started today! in true italian fashion, we still haven’t been told the official term dates, or the timetable, or anything remotely useful. i didn’t think i would miss Durham that much, but wow, I really miss its organisation. i’ve been a proper tourist and seen quite a few of the famous sites! i saw the Colosseum entirely by accident: i was having a really fun (jk) day out going to a government building to get my Italian codice fiscale (like a national insurance number) and the tram i was on turned a corner and suddenly…a wild Colosseum appeared! and, as you can see from the picture below, i was wearing a dress and had my splint on show. and guess what? 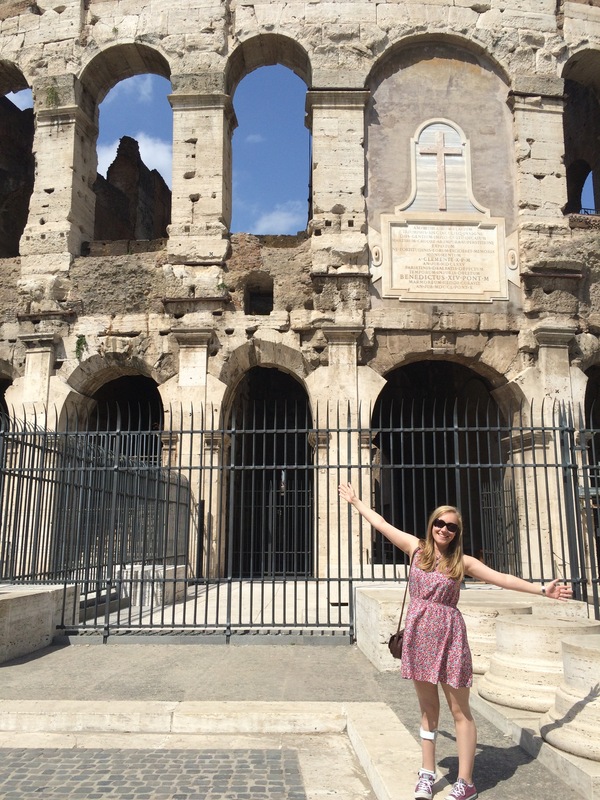 more people were turning to look at “what was wrong” with me than were actually looking at the Colosseum! who knew i was so popular eh?